VIEW Photo Galleries from various VAFHO Conferences. Organised by Victorian Interpretive Projects & VAFHO Committee Members. Organised by VAFHO committee members & Yarrawonga Family History Group. Convenors – Pat Eade & Jan Parker. Organised by VAFHO committee members & South Gippsland Genealogical Society. Convenors – Pat Eade & Alison Marshall. Opened by VAFHO President – Jenny Harkness. 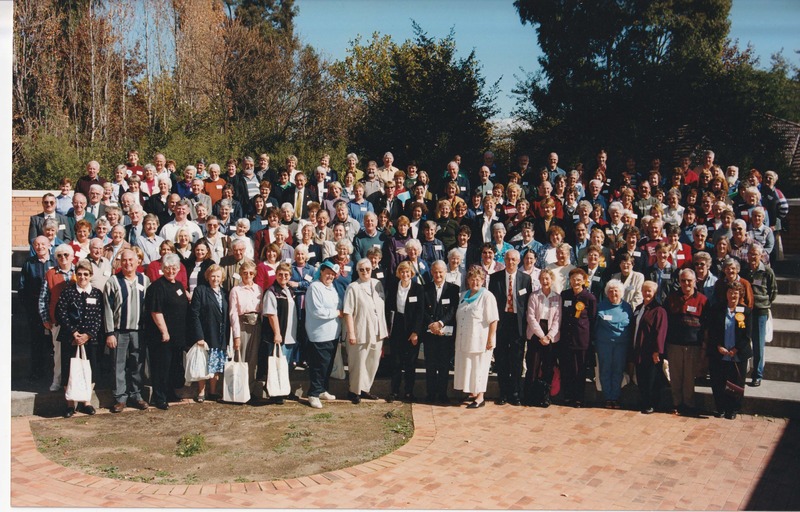 Organised by Mildura & District Genealogical Society. Convenor – Leanne Watmuff. Opened by restauranteur & TV presenter – Stefano di Piero. Opened by Minister for Immigration & Multicultural Affairs– The Hon. Mr Philip Ruddock. Opened by the Governor of Victoria – The Hon. Sir James Gobbo A.C, C.V.O., Q.C. Organised by Maryborough & District Genealogical Group. Convenor – Elaine Stevens. VAFHO was formed at this conference. Opened by the Governor of Victoria – The Hon. Richard E. McGarvie A.C.
Keynote Speaker – Andrew Lemon, Historian & Author. The idea for a state organisation was born out of the co-operation and collaboration established during the organising of this conference.